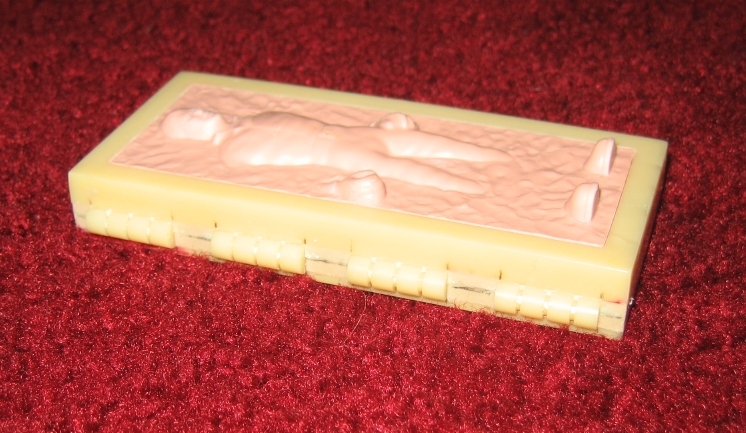 This is a wax sculpt for the Han Carbonite figure from the vintage Power of the Force line. 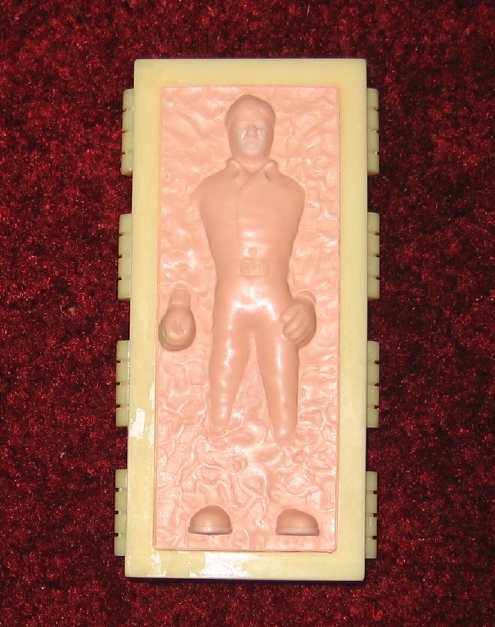 The base of the carbonite is patterned plastic due to its straight edges and the organic portion sculpted in wax. The part lines and other engineering markings are visible from the side view.